White tailed eagle chicks have successfully hatched in Ireland for the first time in over 100 years. The first white-tailed eagle chicks to be born in Ireland in over 100 years have hatched at two sites: one in Killarney National Park in Co. Kerry, the other in Mountshannon on Lough Derg in Co. Clare. 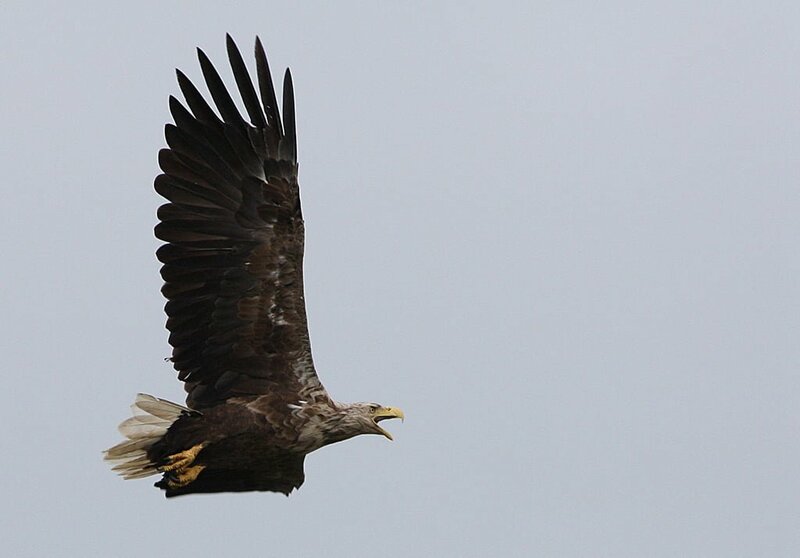 The good news gives a much-needed boost to the beleaguered White Tailed Eagle reintroduction programme managed by the Golden Eagle Trust after a failed nesting attempt at Mountshannon last spring and a spate of illegal poisonings. Since the inception of the programme in 2007 some 100 fledgling eagles have been released in Ireland. White tailed eagles reach maturity and start breeding at 4-5 years of age — so last year was the first year that breeding was likely — and the fact that one pair at least made an attempt was very positive news. The fact that chicks have been successfully hatched this breeding seasons builds on that positive trend and bodes well for the future of these magnificent birds in Ireland.